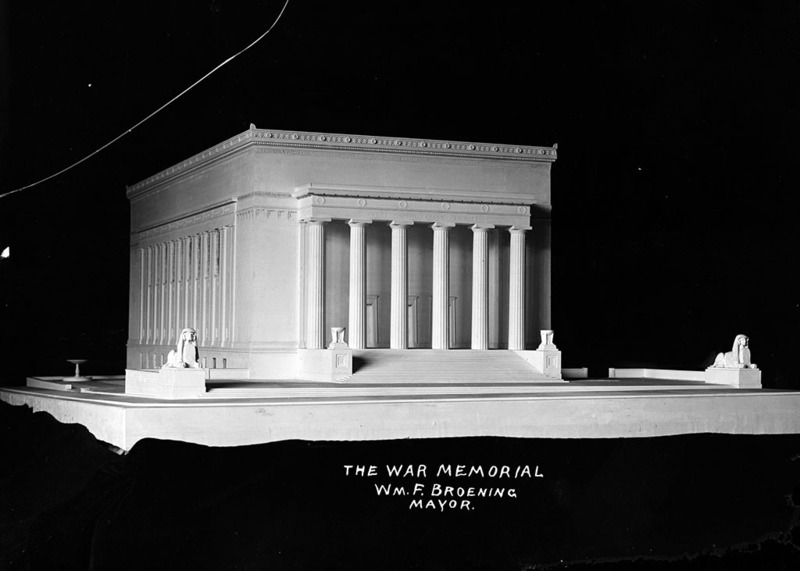 In 1919, the Governor of Maryland and the Mayor of Baltimore appointed a War Memorial Commission that initiated a nationwide architectural competition to design a memorial building dedicated to the 1,752 Marylanders who died in military service during WWI. 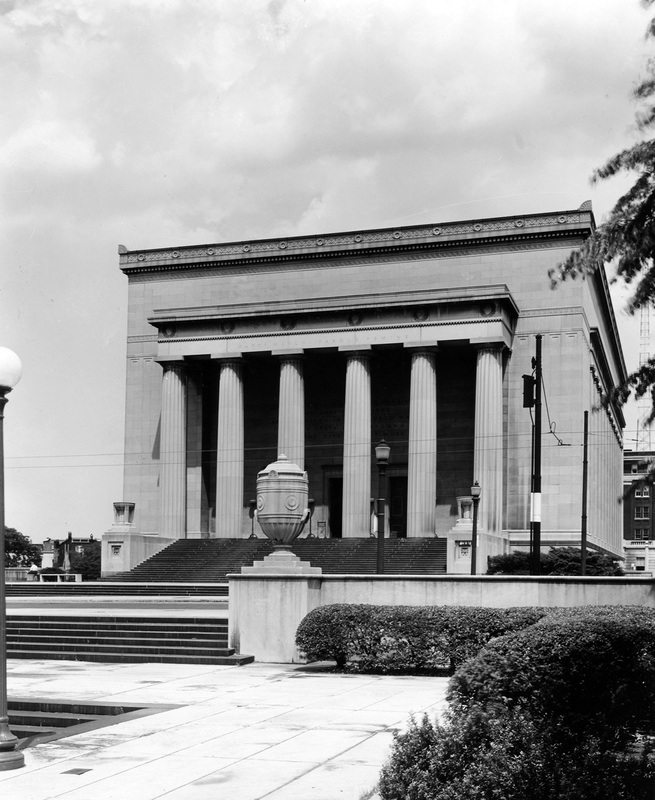 The design for the monumental building that today faces Baltimore City Hall across War Memorial Plaza was executed by local architect Lawrence Hall Fowler. 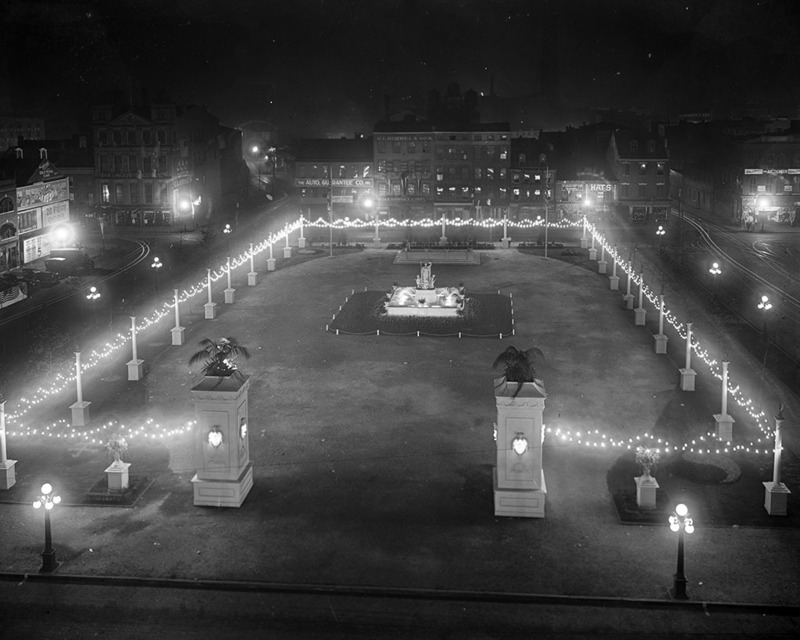 A ground-breaking ceremony on November 22, 1921, was attended by Ferdinand Foch, Marshall of France and the cornerstone was laid on April 29, 1923 in a ceremony attended by Acting Secretary of War Colonel Dwight F. Davis, Governor Albert C. Ritchie, and Mayor William F. Broening. 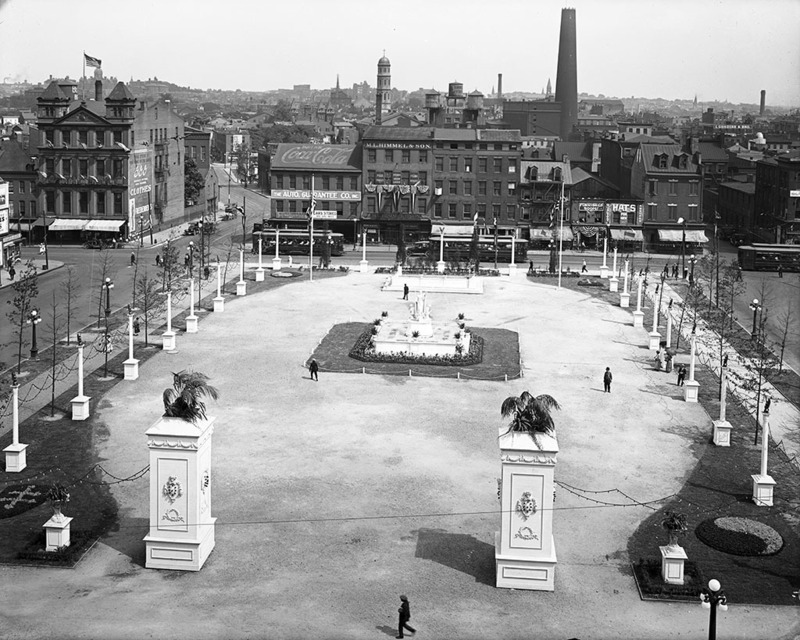 The War Memorial was dedicated on April 5, 1925. 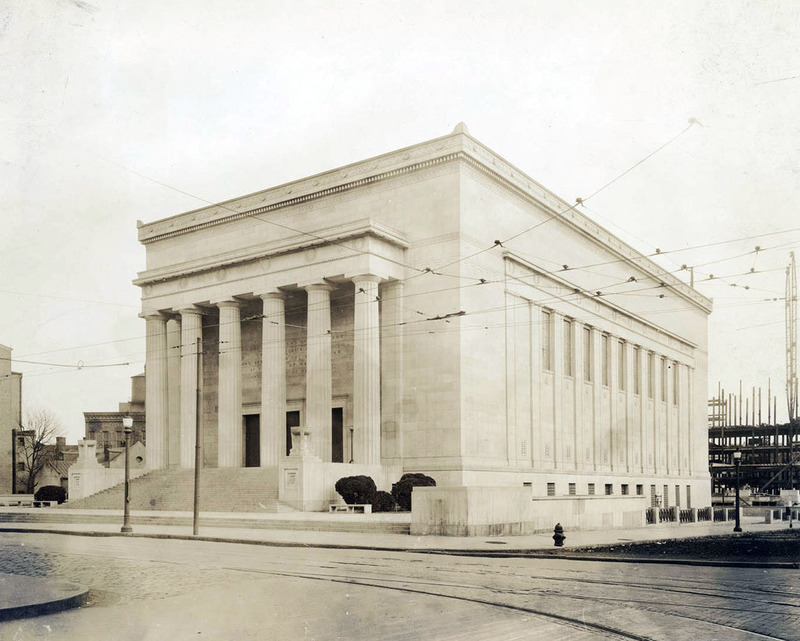 The finished building featured a 1000-seat auditorium and a mural by Baltimore artist R. McGill Mackall, depicting, 'A Sacrifice to Patriotism.' 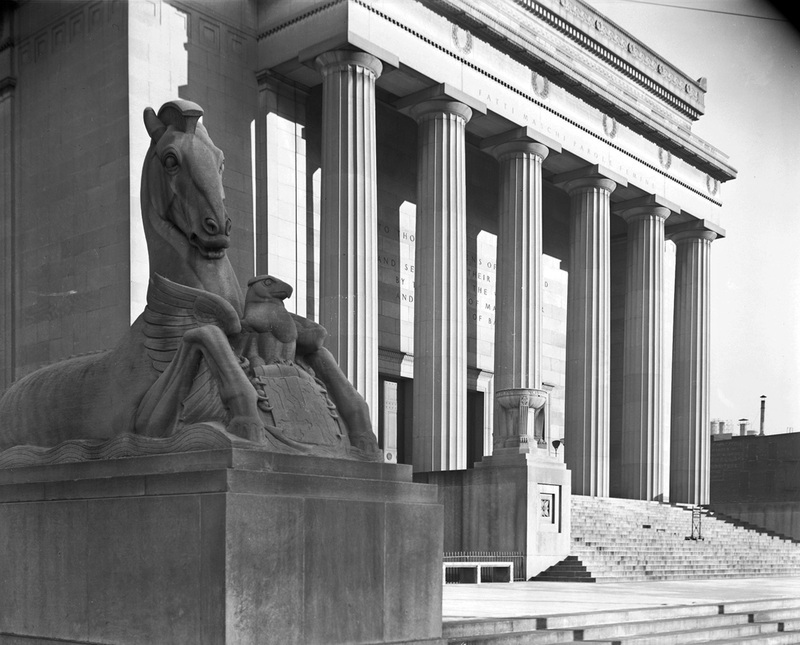 In front of the building are two stone sea horses representing the "Might of America crossing the seas to aid our allies." 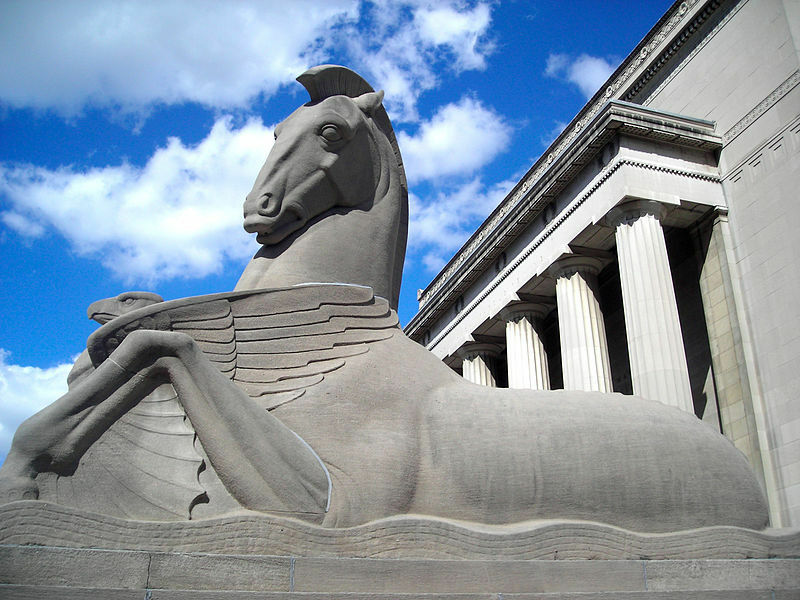 The sculptor, Edmond R. Amateis, included in the statues the coats of arms for Maryland and the City of Baltimore. 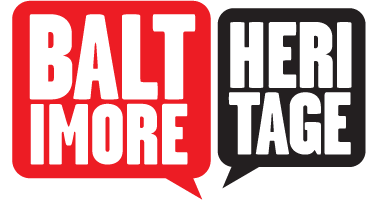 The building was rededicated by Mayor William Donald Schaefer on November 6, 1977 as a memorial to the Marylanders who gave their lives in all wars with American involvement during the twentieth century. The War Memorial Building still houses administrative offices for local veterans organizations. 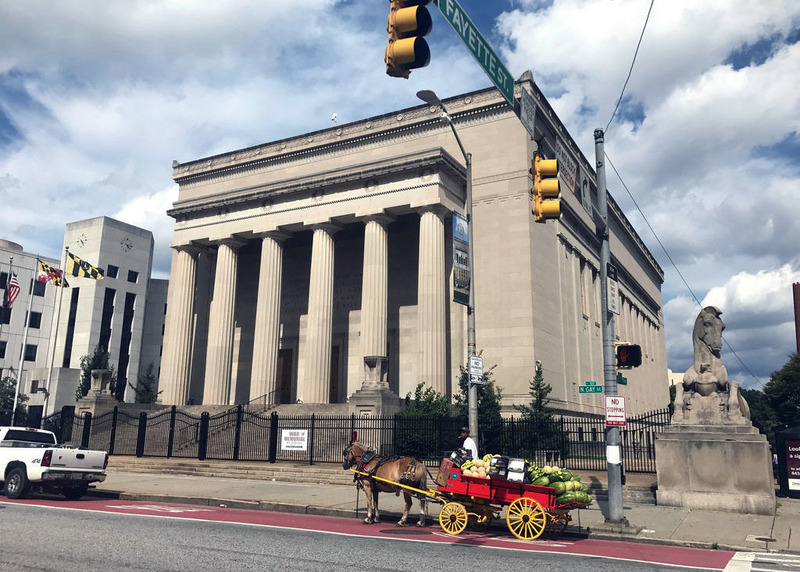 Eli Pousson, “War Memorial Building,” Explore Baltimore Heritage, accessed April 19, 2019, https://explore.baltimoreheritage.org/items/show/201.